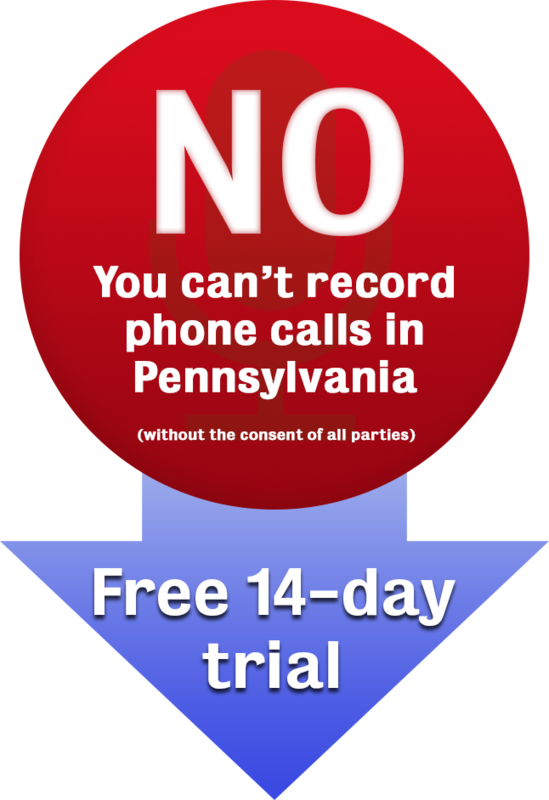 With regards to recording phone calls, Pennsylvania is a “dual consent” state. This implies that you cannot record or intercept a phone call or a conversation without the consent of both parties. In most cases, consent is alluded to if an announcement is made at the beginning of the conversation and no party objects to having the recording made. As opposed to the case in some of the states in the country, you don’t have to give any reasons for recording a telephone conversation. Though there are a few exemptions, unless you are a law enforcement officer with the permission to record a phone call, you are strongly advised never to hit the record button without the consent of the other party. The Pennsylvania Wiretapping Law does not cover oral communications when the participants do not have any reasonable expectation of privacy. In other words, if the speakers do not expect that the oral conversation might be subject to interception under the prevailing circumstances, then you may freely record such conversations. This then allows you to record conversations taking place in public places without the consent of the concerned parties. Depending on the nature of the recording, those found guilty to have violated this law might be subjected to criminal and civil penalties. These might include actual damages of up to $100 per day or $1000 or whichever is greater, punitive damages, attorney fees as well as litigation costs. The Pennsylvania record law is not very clear on the particular gadgets that one can use to record calls. It only asserts on the use of “electronic, mechanical and other devices.” You are thus free to choose your own means of recording. With Secure Speak, we give you a phone number that you can 3 way into any call. Whatever that number hears gets recorded, and is emailed to you after you hang up. The Secure Speak line stays completely silent, so it’s up to you to announce to the other parties that you’re recording. You can start with Secure Speak today with a 14 day free trial and get an easy way to tap phone calls in the state of Pennsylvania. Secure Speak is not a licensed lawyer and any statements do not constitute legal advice. Contact a lawyer for information pertaining to your specific case, and reference Pennsylvania Cons. Stat. § 5703 directly. Posted 4:00 am by Secure Speak & filed under Legal.